Yep, pattern testing is still so much fun! This is my fourth pattern test now, for two different pattern designers. The deal is that the designer sends you a pattern, and asks for a particular size to be made (based on the available munchkins you have! ), and you have a few days to sew up a storm using the pattern, then provide some pics and a feedback form. This is so that the pattern designers can check the sizing, and also can be sure that their instructions make sense to a variety of different sewers. In exchange for this, the testers get the pattern for free. Can't complain about that! So, this little number is called the Charlotte Dress, and it's from Petite Kids Boutique. 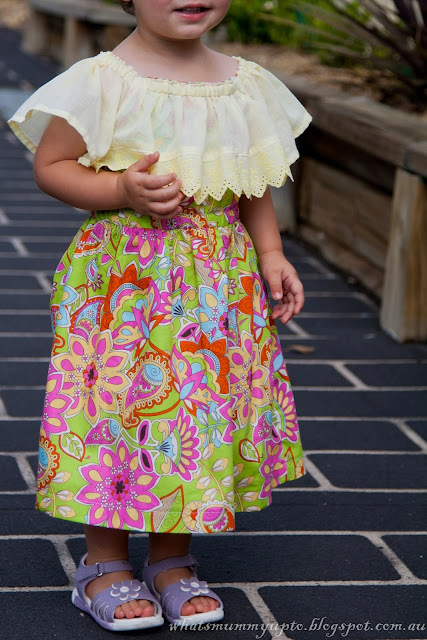 It's such a pretty little frilly number! 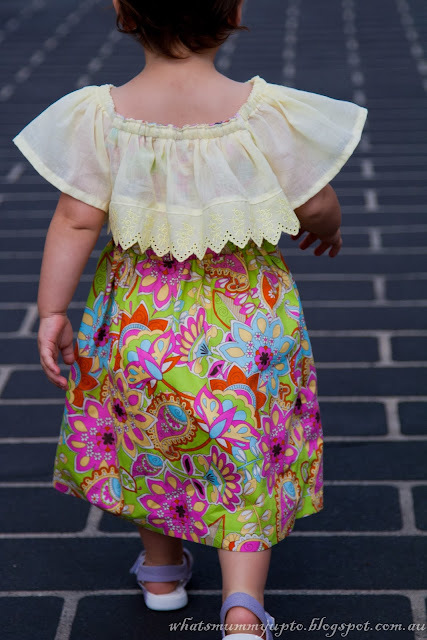 Hannah loved prancing around in it for these pics, and who can resist her chubby little elbows! Bethany was very jealous that the designer only needed a size 2 tested this time. I think I might make her one anyway though, 'cause I think it's a pretty one, don't you reckon! You might remember this fabric from my Facebook teaser a few weeks ago. 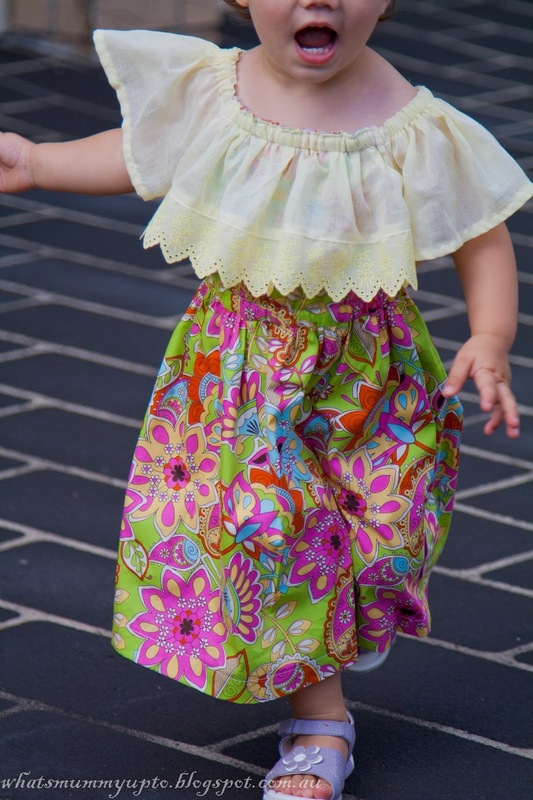 So summery and perfect for a little feminine dress like this I think. 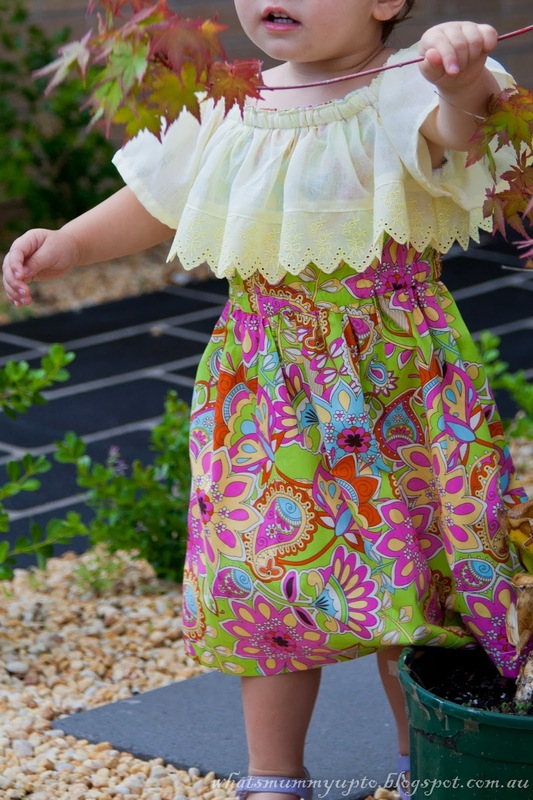 Oh, and this dress is super-comfy for the munchkins too, with elastic waist and neckline and the full comfy sleeves. I was thinking it might look cute with those sleeves pulled in with some elastic too … think a peasant dress look … hmmm, might try that!! I also think it might work in a shorter length. Anyway, the Petite Kids Boutique patterns are super easy to follow, and well-priced too. Hop over and check them out at their Etsy shop here.